It feels rare to be so impressed by a company but I felt compelled to leave this review. The speed to delivery was exceptional and unexpected - next day. The item was packaged incredibly well - no chance of damage in the post. The item itself was lovely - a white mailbox that came with an incredibly useful plan for drilling the holes in the wall (great for me as diy is not my forte). I am totally thrilled with my product and would highly recommend safes.co.uk to anyone. Polite and helpful sales staff, speedy delivery and perfect good. Many thanks all round. I needed a safe for insurance renewal but new nothing about safes or insurance ratings. Nikki was very informative and helpfull in helping me make the right choice of safe that suited my needs. I would definitely recomend you to anyone who needs a safe. great service and arrived promptly. Fantastic service from Nikki and the rest of the team at Safes.co.uk. Very helpful and personable service over the phone. Delivery quoted as 48 hours due to order placed post lunchtime, but they managed to improve on that quote and it arrived inside 24 hours. No hesitation in recommending to others as it was a pleasure to deal with them. Fantastic service from start to finish. 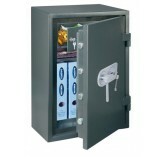 The safe was brilliant value and the care for customers from the company is first rate. An excellent choice. What a lovely lady I delta with, very professional and caring. I found it tricky choosing one that was most suitable for my needs and decided to give them a call, after speaking with them and explaining what I needed it for they where able to narrow it down, I purchased the safe over the phone and it arrived the next day. Fantastic service and I’d highly recommend. From initial phone enquiry through to purchase, the customer service was top notch. Delivery was quick and painless and safe was great value for money. The staff were professional, polite and knowledgeable, making the whole experience easy from start to finish. My small home safe arrived quicker than expected and i am very happy with it. I will be recommending you to all my family and friends.